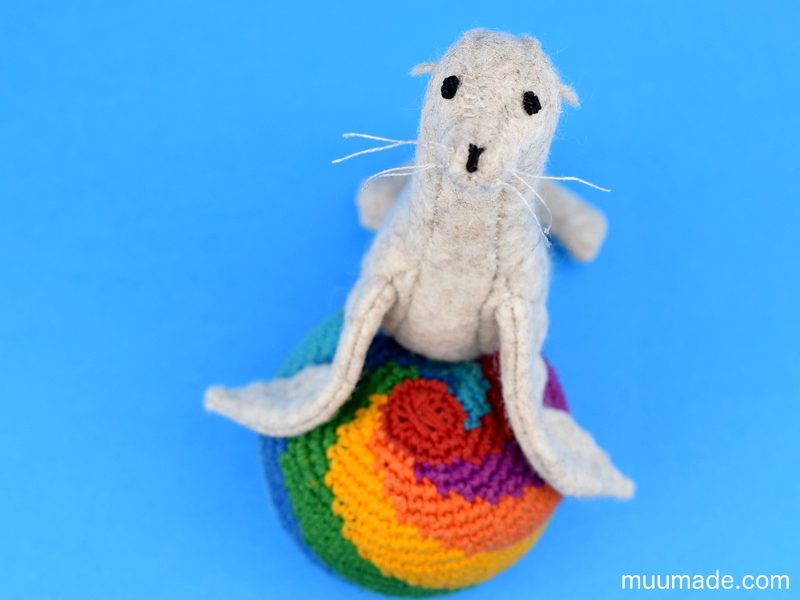 Muumade’s Little Felt Sea Lion is a sewing pattern & tutorial to make a marine animal that is big and heavy, but yet very friendly and adorable. The sea lion is approximately 10 cm (4″) long and 10 cm (4″) tall, just the right size to sit on top of your palm. With a tiny modification, you can also use the same pattern to make a Little Felt Seal. But first, here is an important question – Can you tell the difference between a sea lion and a seal? They are both marine mammals with large beady eyes, big front flippers, and round bodies… So what’s the difference? There are two key differences. First, sea lions have tiny ears, whereas seals are ‘earless’. Second, a sea lion’s back flippers can rotate forward and be used to walk on the ground, while those of a seal stretch away from its body. 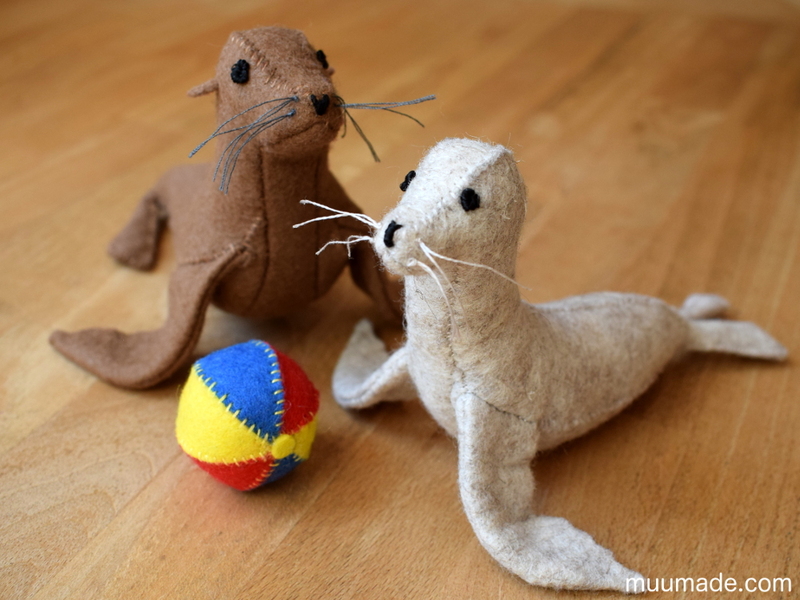 So if you prefer to make a Little Felt Seal instead of a sea lion, the required modifications are very simple: just omit the ears and keep the hind flippers straight! Another difference between sea lions and seals is not obvious from their appearances, but can be seen in their sociability. Sea lions are more social, known to live in large colonies and communicate with one another with loud barks. Seals, on the other hand, tend to lead more solitary lives and spend more time under water than sea lions. The sea lion’s playful nature is perhaps what makes them a big star in aquariums and circuses! 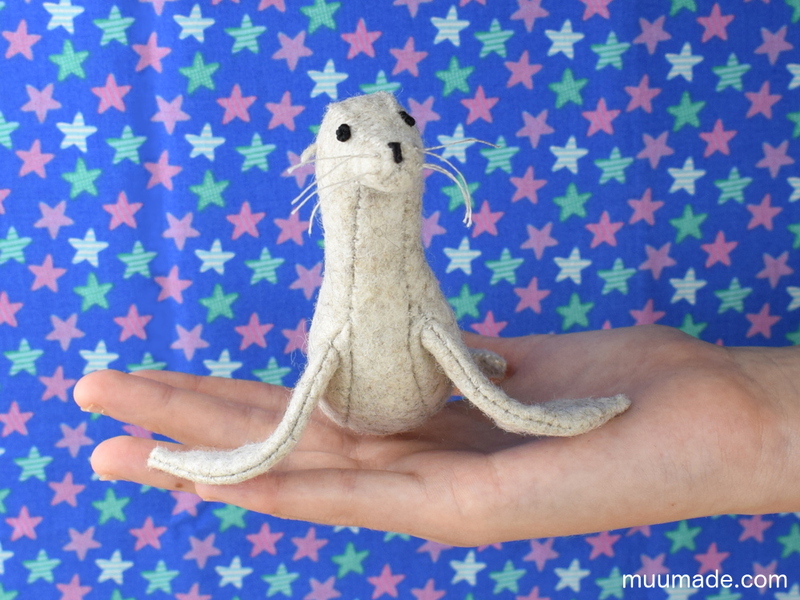 I designed the Little Felt Sea Lion so that its front and back flippers can be bent in any way you like. When the back flippers are stretched out and the front flippers spread sideways, like they are in the photo above, the Little Felt Sea Lion looks as though it is really swimming! By the way, did you know that sea lions are very fast swimmers and that they can hold their breath for as long as 40 minutes? Here is a link to learn more about their amazing underwater abilities. 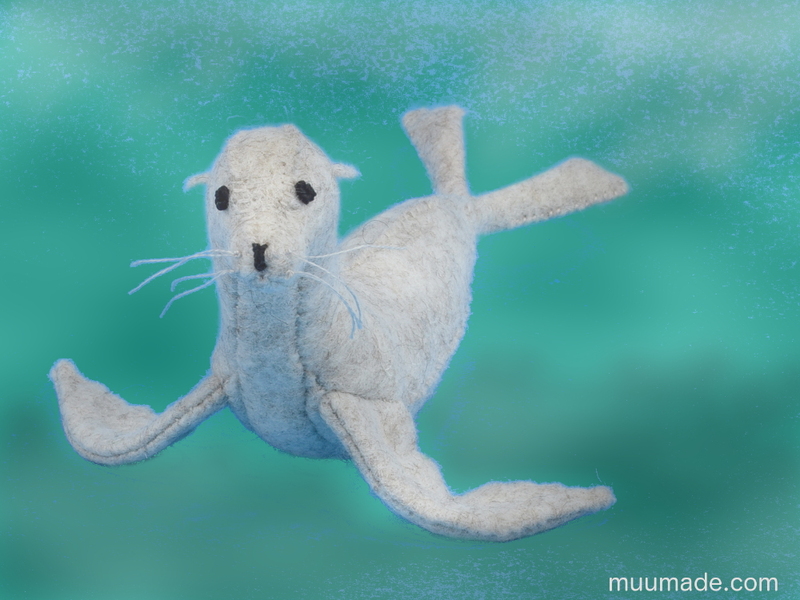 If you like the Little Felt Sea Lion, you may also be interested in other Little Felt Animals.